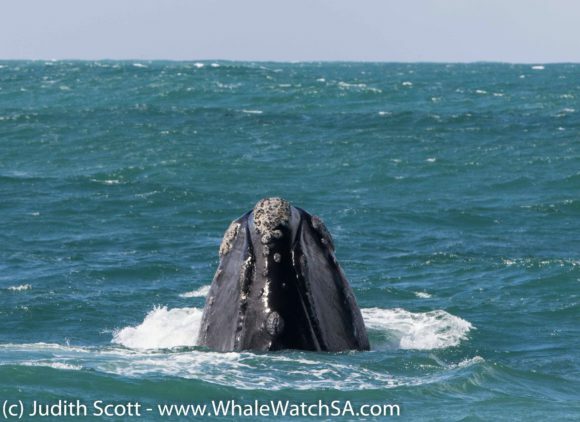 We have quite a few Southern Rights around at the moment, particularly in our bay, which has made for some great whale watching! 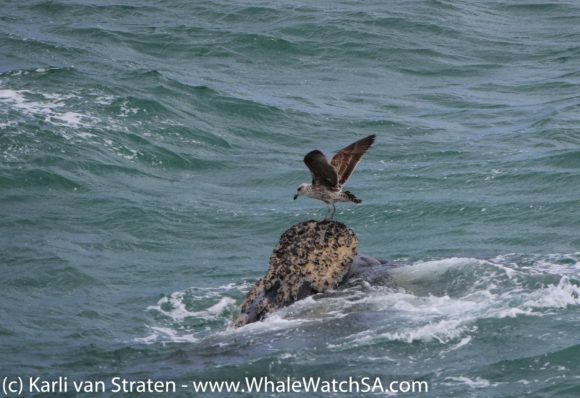 October is very often the busiest month of the year for us here at Dyer Island Cruises. 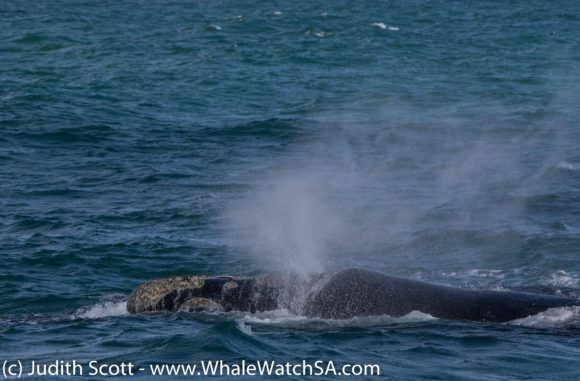 At the moment, it seems as though many of our gentle giants are very aware of this fact, with quite a few moving into our bay. 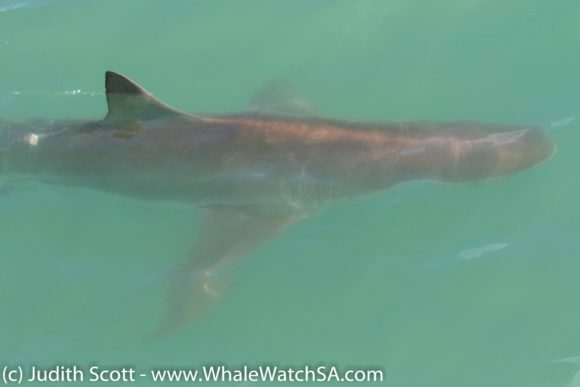 On the first trip of the day, things were a little quiet in the shallows so we moved on over to Pearly Beach to see if there was any luck to be found on that side. 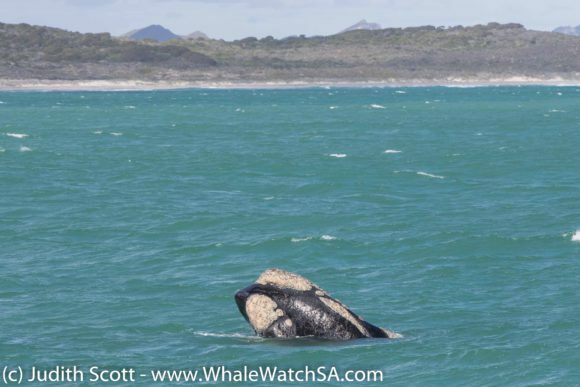 Sure enough, we came across a mating group of Southern Right Whales close to shore and stuck around to watch their distinctive surface behaviour. 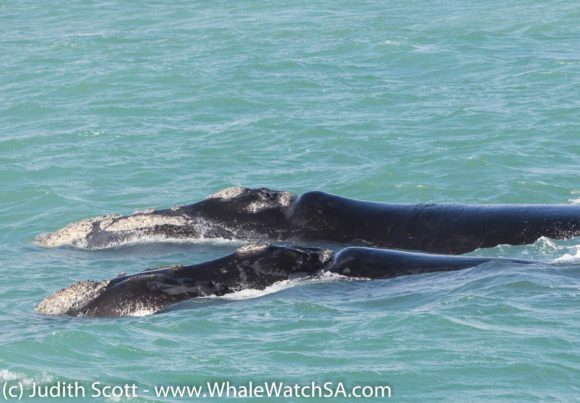 We’re probably seeing the last of the mating groups, so we’re taking it all in as much as what we can. 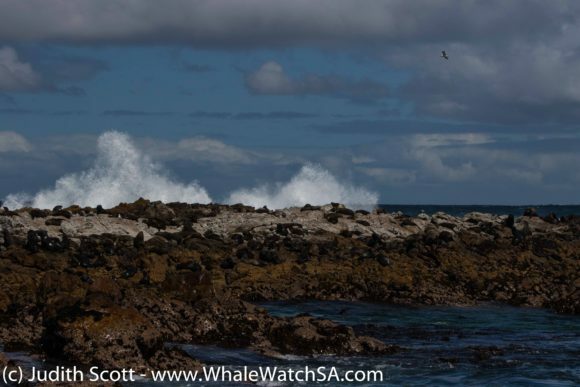 After watching them roll about in the water for a while, we carried on with our tour, making our way to Geyser Rock. 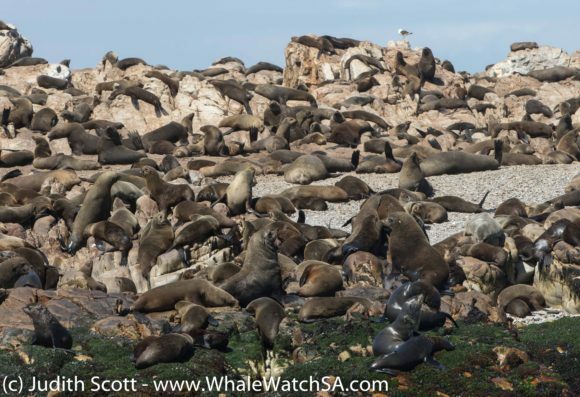 Here, the watched as some of the Cape Fur Seals enjoyed the coolness of the ocean whilst most of the colony had a sleep in on what was a chilly Monday morning. 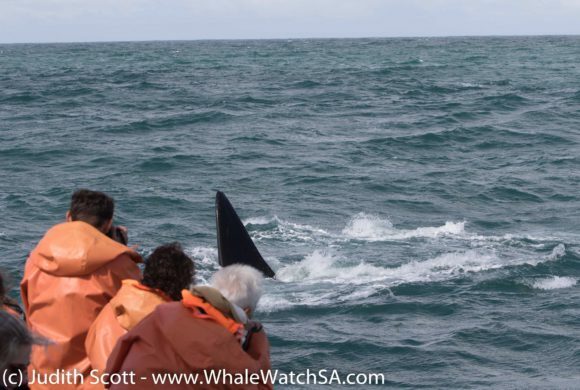 On the way back to the harbour, we found a couple more whales to watch and a Mola Mola before heading in for our change over. 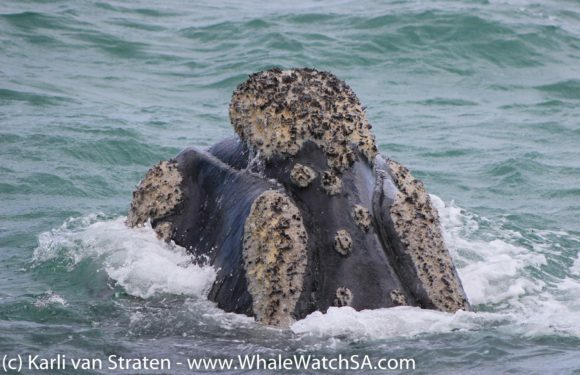 The second trip had a truly spectacular but somewhat worrying whale sighting. 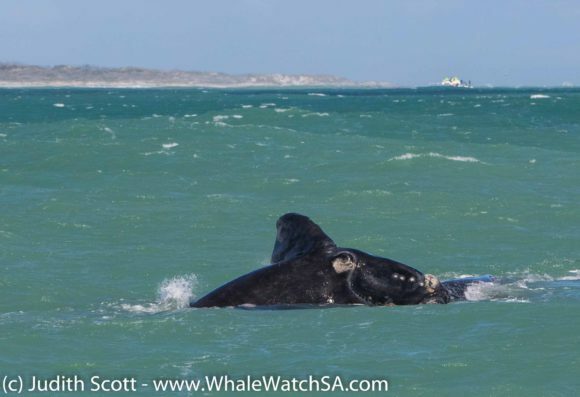 After stopping to check out a couple of Humpback Dolphins, we found 2 adult Southern Right Whales in the middle of our bay. 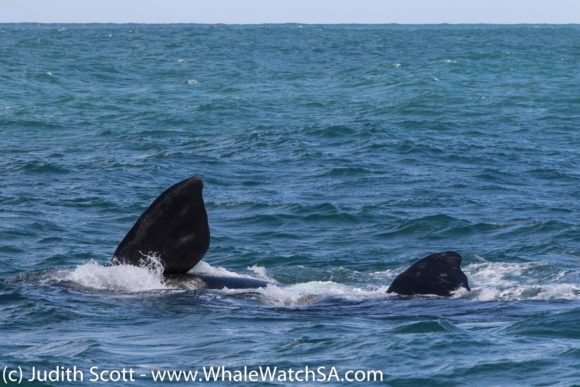 These whales were doing some awesome spy hopping, with both of these majestic animals sticking their chunky heads out of the water in unison. 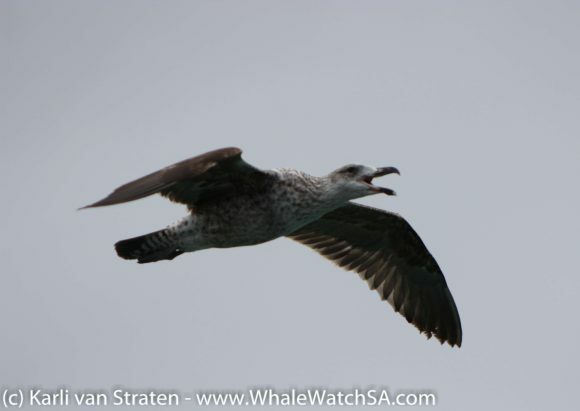 At this point, several juvenile Kelp Gulls started to harass the whales, pecking at the barnacles and whale lice on their callosities. This is not something that we have witnessed before and this has the potential to become a problem, as the gulls are likely to school each other in this newfound feeding strategy. 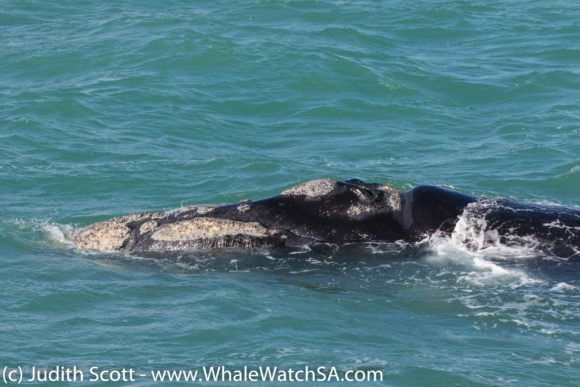 In Argentina, there is a huge problem with gulls pecking at whales for their skin, so we hope that our birds do not become too comfortable with the idea of going after the whales. 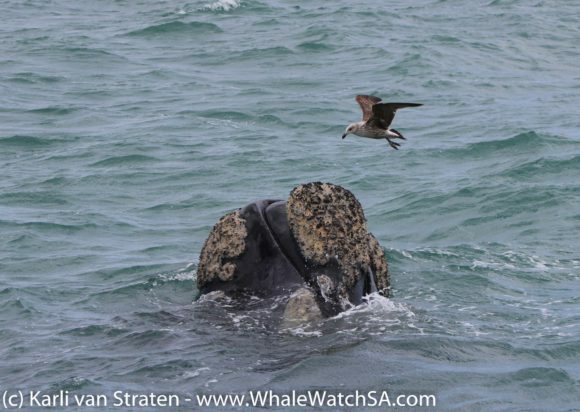 One cheeky whale did manage a slight bit of revenge, spraying one of the mischievous birds with some water vapour. 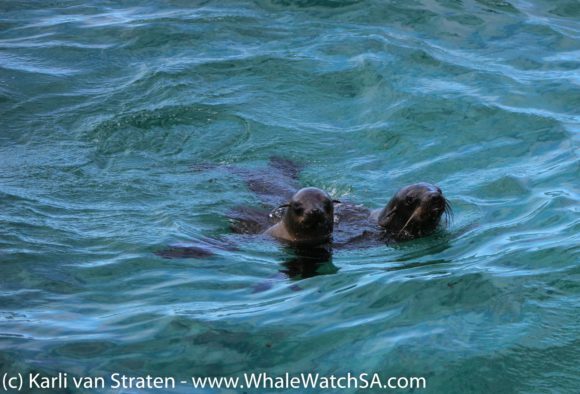 We went on to see a Bronze Whaler Shark and some Cape fur Seals on this tour. 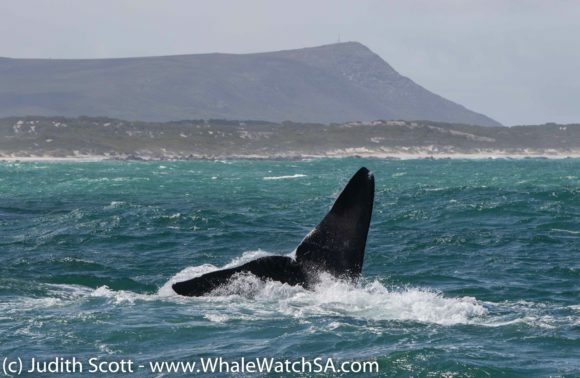 The last trip of the day also had whales really quickly in the trip, with us finding a mother and a calf close to Uilenkraalsmond followed by two friendly adults. 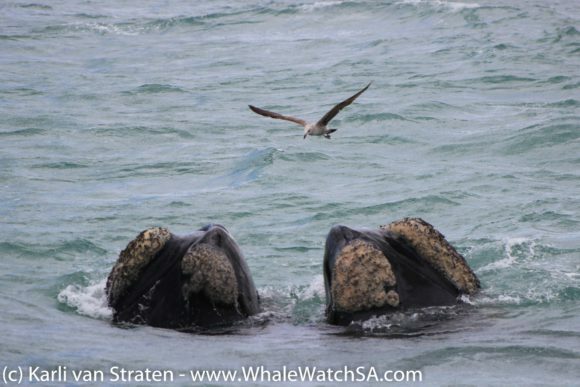 The adults gave us a beautiful, close approach before we head on over to Slashfin. 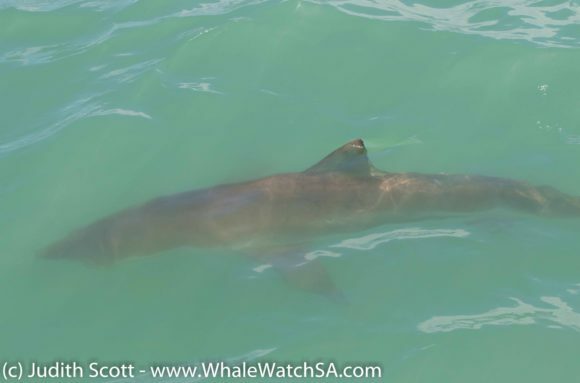 Although we were not lucky enough to catch sight of a shark, the great news was that there was a Great White Shark around the boat a little earlier in their trip. 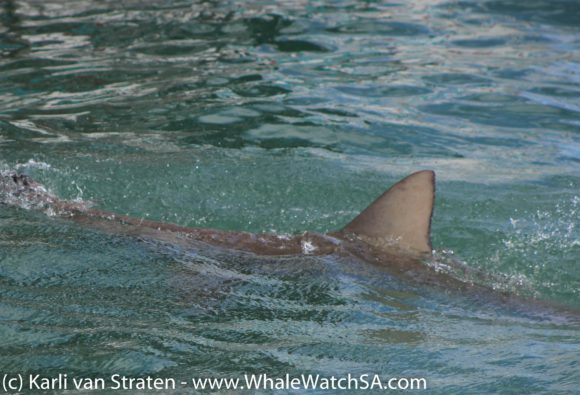 We’re really hoping that this will be the first of many to return after a recent Orca sighting. 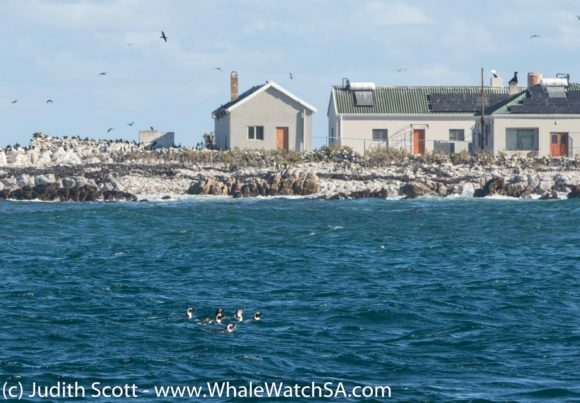 After seeing a few large rafts of African Penguins and our beautiful, slightly pungent seals, we head home for some warm soup.